The Japanese automobile manufacturer, Toyota launched India’s first Hybrid car with the nameplate as Toyota Camry Hybrid. This car exemplifies an ultimate form of style and elegance with its innovative concept and technology. Now, the brand is set to unveil its face-lift` version to the world in 2015. It is expected that the latest generation of Camry will be marketed in Indian auto-market as well. l Toyota Camry’s sleek and dynamic body design forms a luxuriously advanced appearance. l The bonnet is accentuated with new set of headlights, daytime running lights and chrome plated horizontal slats. l The unique feature to its hybrid variant is auto folding and reverse linked OVRMs that automatically tilts while assisting the driver in reversing. l Its wide and large 15-inch alloy wheels paired with bold tires are designed to enhance the sporty appeal, while providing ride comfort. l Overall exterior dimensions of new Camry stand out to be 4850 mm x 1825 mm x 1480 mm (L X W X H) and the wheelbase is about 2775 mm. What to opt for: This classy sedan by Japanese automobile producer comprises plenty of expensive exterior parts, hence a complete insurance of your car would be an optimal decision. l The contemporary ornamentation inside the cabin gives an unrivaled luxurious feel to the interior. l The acoustic windshield glass of this sedan proposes best-in-class cabin quietness, even if you are moving from extreme traffic areas. l Its responsive steering wheel comes covered with class-leading leather and mounted with various control switches for additional convenience. l When it comes to rear-seat passengers comfort, this car has got a rear armrest incorporated with controls for recline seats, audio system and rear air-conditioning system. l In addition, this luxury sedan is provided with a power sunshade employed with rear windshield. 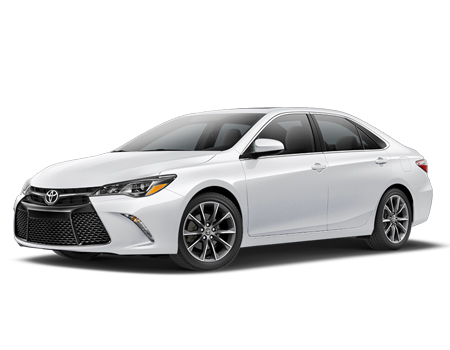 What to opt for: All-new variants of Toyota Camry comes with cutting-edge consumables which are quite expensive, thus consumable add-ons would be a good option, or you can choose to insure all the expensive parts of Camry. Refreshed Toyota Camry and its hybrid version is designed to provide optimum balance of performance and styling. However, in Indian market it is going up against Volkswagen Passat, Skoda Superb and even luxury cars like Audi A3 sedan. For maximum peace of mind, an option of engine protect or hydrostatic lock cover can turned into a smart decision. Whereas, for hybrid variant you can also insure the equipped motor.